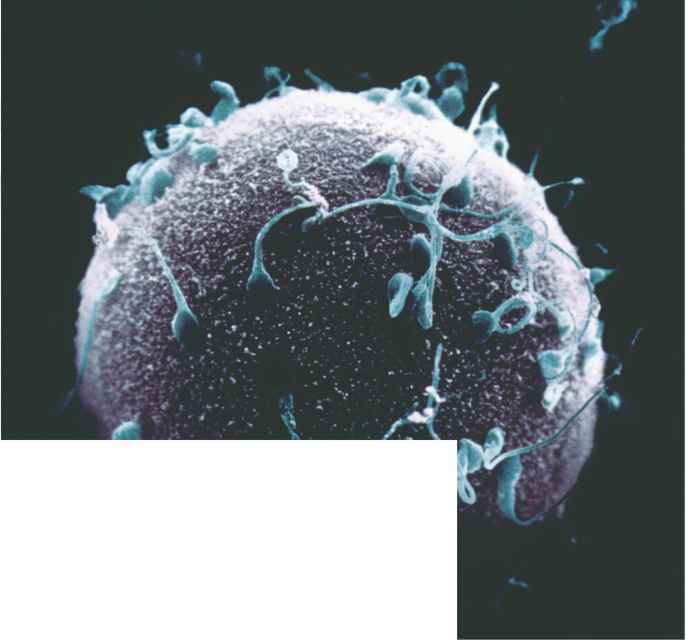 A scanning electron microscope (SEM) image captures many sperm attempting to penetrate an egg during the process of fertilization. If one of these sperm is to enter the egg it must create a way in; its "head" releases enzymes to break down the egg's outer layer, the "zona pellucida." (forty-six individual chromosomes) necessary for human development. In this way, one chromosome of each pair will originate from each parent, making the new individual unique from any other person that came before. The specialized process by which the genetic material is shuffled and the chromosome number is cut in half, from forty-six to twenty-three chromosomes, is called meiosis.